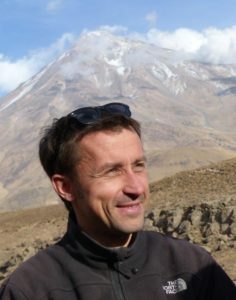 Vegetation scientist by profession, Sebastian Schmidt is a former director of the Greifswald based Michael Succow Foundation. Here, beside his staff responsibility for a team of 20 employees, he oversaw the conservation management of the 1000ha of Succow Foundation’s premises nature conservation sites and acted as political advisor for the board and the German government. Sebastian moderated and mediated workshops, trainings and conferences with participants from the Caucasus and Central Asia as well as he was in charge for project development of large scale projects. Prrotected area development have been the core of the projects he developed and managed in Eastern Europe, the Caucasus and Central Asia. With his regional focus, he is a member of IUCNs WCPA as well as the director of the charity oriented FINC Foundation, a grassroot initiative on conservation action.